If you have an Admiral dryer, it likely works like a charm most of the time. But for those occasions when it doesn't, it can be difficult to know whether to call a repair man or attempt to deal with the problem yourself. There are several problems commonly seen with Admiral dryers that can be easily diagnosed and sometimes even fixed at home. Troubleshooting a dryer can prevent you from having to dry clothes on the line. Make sure the Admiral dryer door is shut if the dryer does not run at all. Check the outlet to make sure the dryer’s cord is plugged in. If it is, check your fuse box or circuit breaker. Make sure all fuses are connected and reset the circuit breaker. If the door was opened during drying, push the start button in again. Check the fuse or circuit breaker if the dryer does not produce heat. Make sure you have selected a setting that requires heat, not the "Air Fluff" setting. If your dryer runs on gas, make sure the gas supply to the dryer is turned on. Clean any debris from the lint filter and exhaust duct as they may be preventing heat from circulating. It is normal for the dryer to be cool during the final cool down. Check the timer to see if the dryer is cooling down. Make sure the exhaust hood on the exterior of your home is able to open and close easily if the Admiral dryer does not sufficiently dry the laundry. Check the exterior exhaust pipe inside the hood for excess lint and clean it out if necessary. Admiral recommends using a 4-inch diameter duct made of strong metal and taping all joints to prevent heat or air loss. Make sure you have not overloaded the dryer. Only one load of wash should be placed in the dryer at one time. The capacity for Admiral dryers is 22 pounds, but best results are achieved with weights of 17 pounds or less. Reposition any bulky items such as comforters. Separate light and heavy items. Make sure the washer is properly spinning excess water from the laundry. If the load is very small, add some heavier items such as towels to help the dryer tumble. Check the Admiral dryer for undesirable objects if it is noisy. Look for pocket change, nails or other items that could be causing more noise than usual and remove them. Make sure the dryer is on a level, solid floor. Some dryer sounds such as the clicking of the timer, the heating element turning on and off throughout a cycle or a hum due to the speed of the dryer, are normal. Select the “More Dry” setting if the Admiral dryer dries unevenly. Heavy parts of laundry items such as seams and pockets may not be completely dry when the rest of the load is dry. 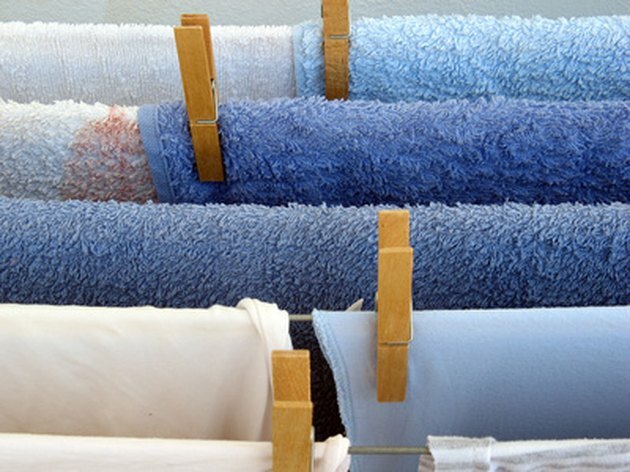 Heavier items such as towels often take longer to dry as well. Separate light and heavy items to ensure even drying. Use Admiral's special "Wrinkle Out" cycle located on the right side of the control dial if clothes are wrinkled after drying. Use small loads for this setting. It works especially well for curtains and drapes but can be used for any items to prevent wrinkles. How do I Troubleshoot a Bosch Axxis Dryer?